Simple Telecoms offer quality-focused cloud UK numbering in every UK area code, along with a wide range of UK non-geographic numbers; allowing us to provide suitable numbers for all your customers by a simple divert to an underline landline number ,or direct IP to IP SIP termination, or username and password. 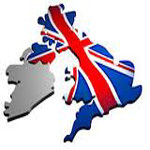 Using a cloud based UK geographic business number your business can appear to be local, from almost anywhere in the UK. We have number ranges in over 600 cities in the UK, and our dedicated Number Porting Desk are on-hand to manage the often challenging process of number porting. We can port numbers from over 30 telecommunications providers, including hundreds of their resellers. Build and strengthen your business identity with a complete inbound solution and a brilliant memorable business number. We have a big selection of memorable numbers for you to choose from, many of which are ready to go live on the day you order. Starting October 1st BT has sought to impose a 60 second minimum charge on calls to 080 Freephone numbers. 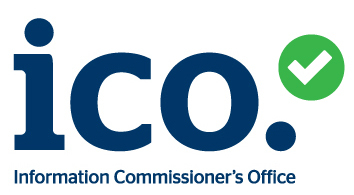 We have rejected this proposal and, with their somewhat heavy-handed approach failing, they are threatening to refer this to Ofcom [who will determine if the change is reasonable]. If BT is successful, they are seeking to backdate the charges to October 1st – We would recommend taking this in to account when looking at running a business Freephone number. Separate personal and business calls with ease. The FREE RIPDialer PIN less mobile App service has been tailored to allow users to continue to make personal calls via their personal mobile phone, and work related calls are made using RIPDialer. The system cleverly distinguishes between your personal and business contacts making sure all business calls display your business number/s, and NOT your personal number. All RIPDialer calls are separately billed ensuring end of month disputes are a thing of the past. You can simply add more numbers to your phone App, and make calls from any of them, wherever and whenever and all from your one mobile phone.